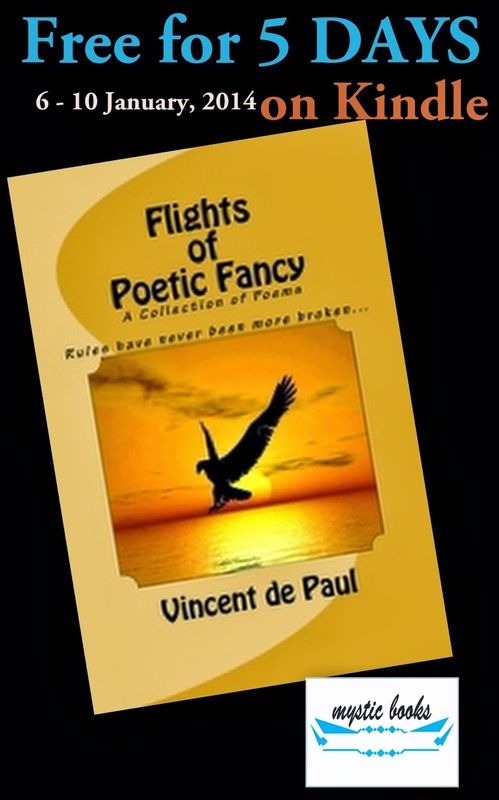 My just published book, Flights of Poetic Fancy, will be available Absolutely Free on Kindle for download from 6 - 10 January, 2014. This is a limited promotion, 5 days, and grab yourself a copy. Click Here to get your free copy. Until (and after) then, the book is retailing at $6 (Paperback) and $3.99 (Kindle format).